Whats So Special About My Electrical Panel ?? We never think about it. Yet it serves us every day. It is the largest safety device in your home but most do not appreciate what is does. 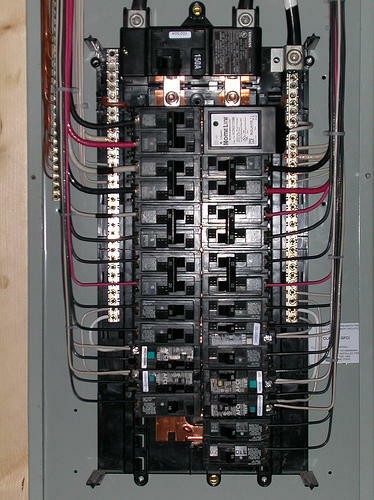 It is your electrical service panel. It is the heart of the home electrical system and is in essence the heart of our modern lifestyle. Every year that goes by we require it to do more and more. But the main service panel, now that is a different story. This seems to get homeowners and some realtors get a little jumpy. They start to question my recommendation and ask more questions. Through time many of these older panels become overcrowded and their initial design was poor at best. Time is not a friend of electrical systems and they should be replaced. So here is a thought, roof replacement cost is about 6-7 k and up. An air conditioner/heat pump can be 2-3k and up. 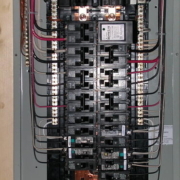 The cost to replace a service panel is usually in the $1200 to $1500 range. https://d3bfc4j9p6ef23.cloudfront.net/wp-content/uploads/sites/57/2013/05/09183403/How-to-Tell-if-an-Electrical-Panel-is-Overloaded-.jpg 500 374 alansinger https://d3bfc4j9p6ef23.cloudfront.net/wp-content/uploads/sites/57/2018/11/07195401/logodark.png alansinger2013-05-24 01:39:102018-11-29 06:22:26Whats So Special About My Electrical Panel ? ?